Berlin, Germany (August 21, 2018) – Moshi, the international accessory design house, is showcasing at IFA its new ProGeo Series, a collection of three compact wall chargers that fulfill a variety of charging requirements, and its soon-to-be-released Danish furniture inspired Q Collection. These products will be on display alongside Moshi’s core collection at their IFA booth (Hall 3.2, Stand #107). Inspired by classic Danish furniture design, Moshi’s Q Collection is a comprehensive suite of wireless charging devices that provide an innovative and stylish way to charge your phone effortlessly. The Q Collection consists of three wireless chargers with Moshi’s proprietary Q-coil wireless charging module, and a compact USB-C dock with built-in wireless charging. Unlike other wireless chargers, all products in the Q Collection can charge through cases up to 5 mm thick. Otto Q acts as an ottoman that cradles the user’s device as it charges wirelessly. Its soft fabric includes a non-slip surface ring and base, as well as a Smart LED to indicate charging status. Symbus Q is a reengineered version of Moshi’s popular Symbus USB-C hub. Not only does it turn the user’s laptop into a desktop system with an HDMI port, USB-C charging, Ethernet, and USB-A ports, a built-in wireless charging coil lets the user set down their phone for easy charging. Porto Q is a portable battery unlike any other thanks to users being able to charge their device wirelessly on the go. Its 5,000 mAh battery charges an iPhone X up to 2 times and also features a USB-A port for charging with a cable. Q Wireless Series is available in Alpine Gray - Otto Q (EUR €49.95/ USD $45) and Symbus Q (EUR€ 169.95/ USD $165) can be purchased online and from select retailers. Porto Q will be available in Q4. The ProGeo Series consists of a USB-C Laptop Charger (65 W), USB-C Wall Charger with USB Port (42 W), 4-Port USB Wall Charger (35 W), and ProGeo Adapter Pack for international travelers. Built with safety in mind, the chargers’ power management circuitry provides overcurrent and surge protection, and is compliant with the US Department of Energy’s Level VI efficiency standard. Each ProGeo charger features a travel-friendly design for quickly swapping out power adapters when traveling to a new country. The optional Adapter Pack includes travel adapters for US, EU, UK, AU, so the user can have all their power needs covered in over 150 countries. The ProGeo Series can be purchased today on moshi.com and from select retailers: ProGeo USB-C Laptop Charger (65 W) - EUR€79.95/ USD $75, ProGeo USB-C Wall Charger with USB Port (42 W) - EUR€49.95/ USD $45, ProGeo 4-Port USB Wall Charger (35 W) - EUR€44.95/ USD $40, and the ProGeo Series Adapter Pack - EUR€14.95/ USD $15. 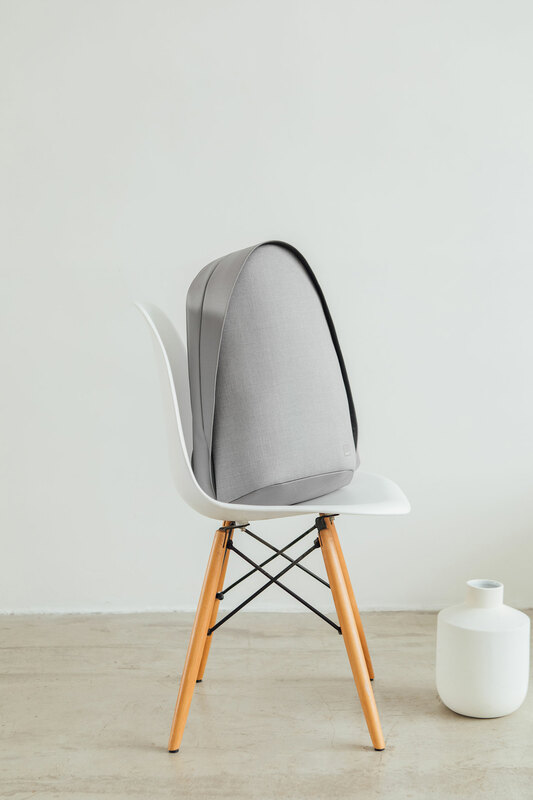 Founded in San Francisco in 2005, Moshi is an international design house which produces premium accessories and electronics for modern living. Our roots in material sciences and engineering guides our in-house design team in creating simple yet sophisticated products to meet the evolving desires of the mobile lifestyle. A vast assortment of design-oriented items enables our customers to discover new ways to travel, work, and play without sacrificing style for functionality. With offices located in San Francisco, Taipei, Shanghai and Rotterdam, Moshi products are sold in over 70 countries around the world.